You never talk to a human. In 20+ years of job site design, there hasn’t been any major innovations. Searching for a job can be cold and inhuman. Companies spend thousands of dollars on job boards but rarely see significant traction. Only 15% of hires are made through job boards. Companies know referrals are the highest quality candidates but can only reach their limited network of employee referrals. HireClub makes finding a job fast, friendly, and effective. The best hires happen through referrals. Hiring managers post jobs for free on HireClub. Members can refer and vouch for their friends by tagging them. Within 15 minutes of a job being posted on HireClub interviews are being setup. Often people get hired within days or weeks compared to months on other sites. We have jobs from some of the best companies on earth. Often before they are posted anywhere else. 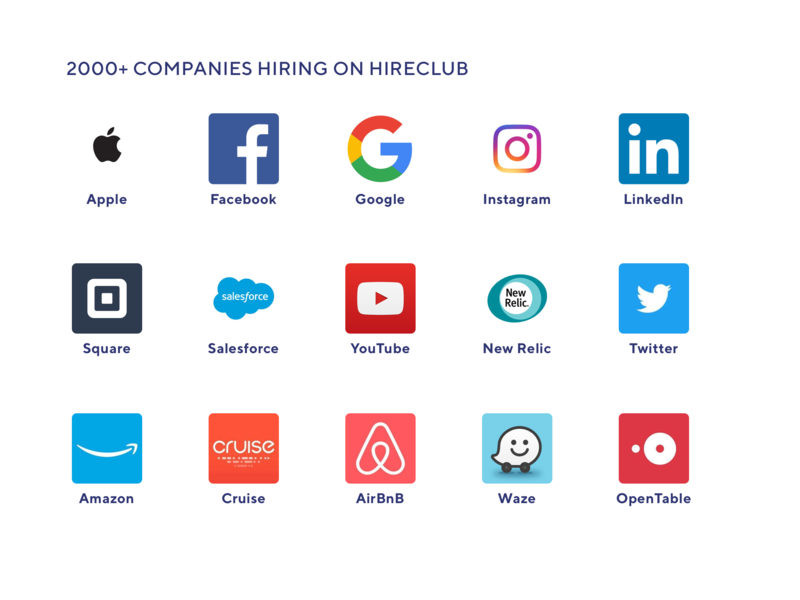 Facebook, Apple, Netflix, Google, Lyft, Square, LinkedIn and more have all posted jobs on HireClub. 2000+ companies are hiring on HireClub. You can directly talk to the hiring managers when they post. The HireClub community reaches millions and enables you to reach beyond your friends, to everyone they know too. Members vet other members so quality remains high. People use HireClub and recommend their friends because they know you don't have to search for a job alone. Diversity is core to who we are. We believe everyone deserves to find their dream job. Underrepresented minorities, women, veterans and more all sometimes struggle in the job market. HireClub is founded by immigrants who know how much hard work it takes to succeed. We want to give back to our community by ensuring everyone is welcome and heard. We're solving a huge problem. Companies aren't finding great talent and great talent is not being seen. Companies would love to have more diverse candidates but often their network is small. Job seekers would love to be seen by companies but don't often have enough reach or access. HireClub lets job seekers share their job goals and hear back from companies who are interested in them. Companies and People love HireClub! The HireClub team wakes up every morning to thank you messages. It's one of our favorite parts of the day. Whether we found someone a job, got them an interview or they are just are happy to join a welcoming and helpful community, these messages give life to our mission. Offering Career Coaching with additional services like Mock Interviews, Salary Negoitation and Portfolio reviews all HireClub candidates to be highest quality candidates in the industry. We help our members be prepared for high bar set in hiring by offering professional, actionable empathic career coaching. With a platform of talented, actively engaged professionals, we plan to create marketplace that helps talented professionals get to work fast. Whether someone needs a designer, developer, recruiter, marketing strategist, legal expert, or an operations professional, we offer vetted professionals, as you need them, on an hourly basis. 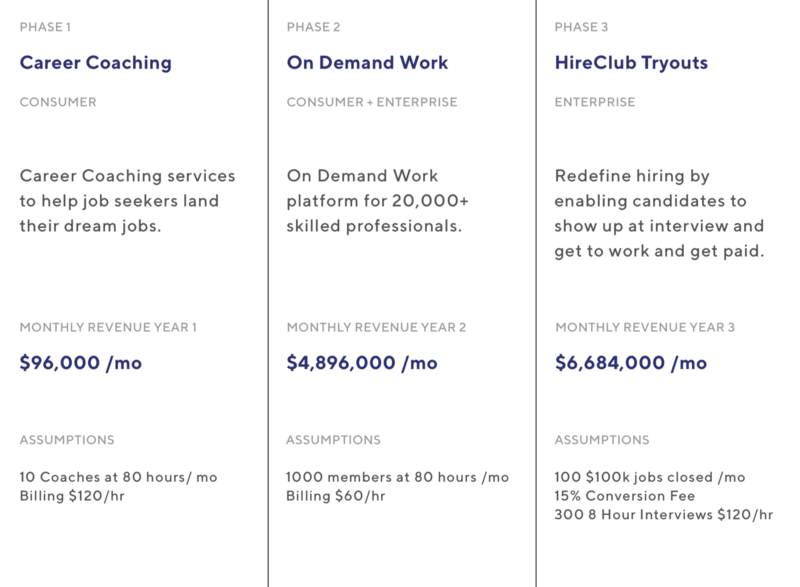 We want to totally redefine hiring by enabling candidates to show up at interview and get to work and get paid. Companies already spend $3k to $6k for each interview but interviews are not the best measurement of skills. Candidates who don’t interview well but have the skills often get lost in the process. HireClub Tryouts will help companies hire better and faster. Invest in HireClub, Invest in You. Grow our community online and offline and in the US and worldwide. Hire additional staff for development, product management and design. Build out college program to help students get a leg up on hiring. Build out ambassador programs in major cities US cities for more events and networking. Investing in HireClub represents a unique opportunity for the community to own itself. We want to democratizing hiring with the very people who have made the community so valuable in the first place. I started HireClub as a side project over 6 years ago in 2011. I wanted to hire skilled professionals quickly and I knew many of my friends had the same need. Referrals are how business gets done. Since then, HireClub has grown and I wake up every morning at 5am to wonderful messages how we are able to help people find their dream jobs and connect to our community. The internet can be a scary place but on HireClub we see strangers helping each other and paying it forward. People are respectful, kind and most of all professionally engaged to help each other succeed. As an immigrant and minority, I’ve personally seen many times how good talent can be overlooked when it looks different from what people are used to. Everyone deserves to find their dream job. Your skills and hard work determine your value, not just who you know or where you went to school. HireClub gives people access to jobs they might not have access to. We make hiring a conversation, not a lonely job post and we welcome everyone regardless of race, gender, orientation, religion, pedigree, education or location. We’ve doubled in size this year alone and that’s still only with me and the team working 1 day a week on HireClub. Imagine how many more people we could help working on HireClub full time! With your investment, our team can dedicate themselves to helping everyone find their dream job, we can build out the features and community with feedback from you. From day one, HireClub has always been about what we make it together. With equity crowdfunding, everyday people like you and me can build companies that we believe in. Not just ones that cater to specific people, but ones that are community oriented and welcome all. Your investment helps HireClub achieve it’s purpose in helping you and your friends find jobs. You can invest as little as $25, we always want HireClub to be accessible to everyone, regardless of income. If every single member out of 19,000 invested $25, we’d have $475,000 in a heartbeat. Imagine a community that decides its future by investing together. Imagine a community that helps friends find work and companies find skilled talent all while paying a livable wage for those people. Your investment in HireClub makes that dream come true. Thank you HireClub for the opportunity to serve you! The smallest investment amount that HireClub is accepting. HireClub needs to reach their minimum funding goal before the deadline. If they don’t, all investments will be refunded. If a trigger event for HireClub occurs, the discount provision gives investors equity shares (or equal value in cash) at a reduced price. HireClub needs to raise $25K before the deadline. The maximum amount HireClub is willing to raise is $1.07M. Your name listed on our investor thank you page. Access to HireClub Beta where you can directly help decide future features. Personalized 1 hour career coaching call. Personalized job search and career coaching plan. We'll introduce you to people, get you interviews, and link you to relevant opportunities in our network for 90 days. We'll work one and one with you to help you find a job. Fly to San Francisco ($500 flight value) and have lunch with the HireClub team. Ketan is a designer and developer and has had several successful companies. He’s an experienced Rails architect and has lead design projects at companies like Twitter, Microsoft, Adobe, Yammer and more. 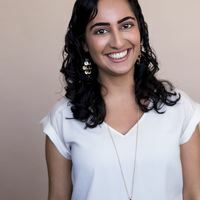 Annie is a marketer experienced in using CRM systems and working with global teams to launch impactful multi-channel campaigns to millions of users for growth, retention, and conversion. 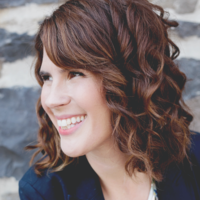 Chelsea is a sharing economy author and leader, and is fascinated by community finance, ownership, and what she calls 'value sharing.' She joined the team to help build the community. Lisa joined HireClub to help people reach their fullest potential. 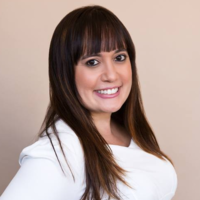 Previously at Dell and Oracle, Lisa received her MBA and BSEE degrees from The University of Texas at Austin. 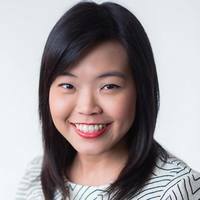 Grace recently become a software engineer, after spending 7 years in human resources. After a engineering bootcamp, she fell in love with HireClub and joined the team. She is currently learning Ruby on Rails and breaking into the tech industry. Jeff is an investment partner at Blue Run Ventures, a Thiel Fellowship mentor, and a serial entrepreneur with 15 years leadership experience building consumer web companies in the entertainment, mobile and technology industries. We recently formed our Delaware corporation and are in the process of hiring our team full time, but as of the filing date, they are not employees by the legal definition. Additionally, our founders do not count as employees for the purposes of this disclosure. When we have final employment agreements, we will update this page with the news. How will you use the funds from this raise? We will use the funds to hire our team full time and build out our website and community. Each $75,000 of our pre-seed round will help us hire an additional team member. HireClub is a website and community where we help friends find jobs through referrals. Anyone can post a job for free and friends refer each other by tagging and vouching for them. Ketan Anjaria: Hi. I'm Ketan Anjaria and I'm the founder of HireClub. I started HireClub as a Facebook group six years ago to help friends find jobs.Tim, if you're hiring for a job, and Bill recommends Jesse, you're likely to trust Jesse because you trust Bill. On HireClub, we've created a platform to scale that trust. 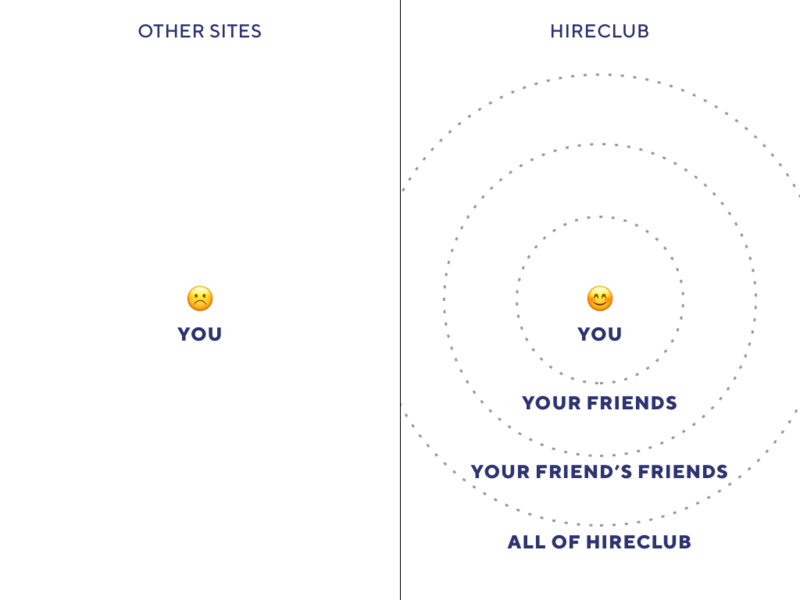 Let me tell you how it works.Anyone can post a job on HireClub, and then you can vouch or recommend your friends. Instead of it being a cold, impersonal job ad, it's a conversation. You can talk to the hiring manager. Business happens faster, and hiring happens faster. The average time to hire on HireClub is measured in days not weeks, or months, like other platforms. We started this with 25 of my friends, and now it's going to 14,000 people around the world, helping each other find jobs. With companies like Facebook, Apple, Google, Netflix and more, all posting jobs. We think this could be a huge platform to help anyone find a job. I've been working on this as a side project for the last six years, spending the last six month to growth. And the community has grown so much, it's compelling me to work on this full time. So we're raising $250,000 to make this a full time effort for me and my team to help anyone find their next job. We've created a platform where we can scale that trust. Let me tell you how it works. Anyone can post a job on HireClub. And then you can recommend your friends. And instead of it being a cold job ad, it's a conversation. You can talk to the hiring manager. Business happens faster, hiring happens faster. The average time to hire on HireClub is measured in days, not weeks or months like other platforms. What started out as 25 of my friends, is now 14,000 people around the world, finding jobs at companies like Facebook, Apple, Google and more. And we're growing with 1,000 member a month. We think this platform can scale around the world to help anyone find their next job. 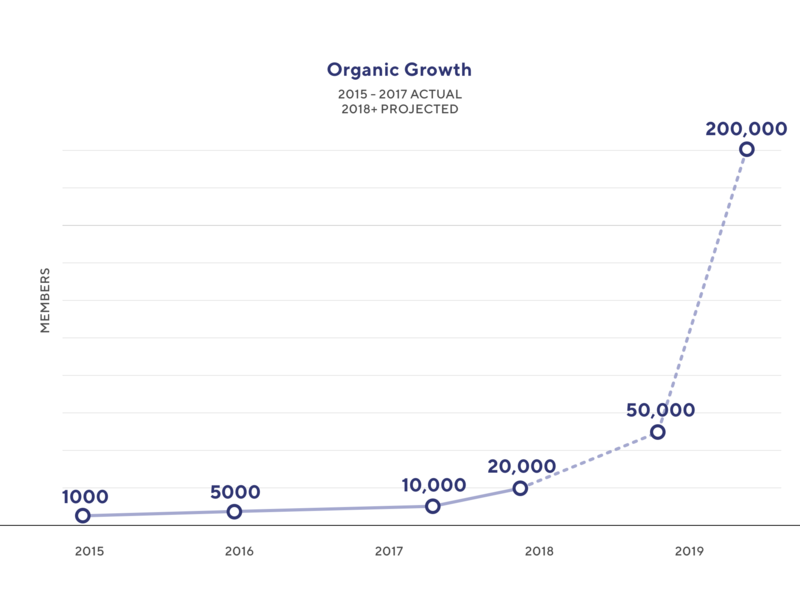 I've been doing HireClub as a side project for the last six years, but it's become clear in the last six months how much growth and potential it has. It could be one of the biggest platforms for hiring. We're raising $250,000 to take the team full time, to help anyone find their next job. Thank you. Bill Draper: What does the $250,000 buy? Ketan Anjaria: It buys two salaries in San Francisco, plus enough money to sponsor our events and marketing that we have to do to spread the word about HireClub. Bill Draper: In exchange for $250,000 what do I get, if I put it all in? Ketan Anjaria: All we're doing is convertible notes right now. Bill Draper: In what way? Ketan Anjaria: It's a $4 million evaluation with a 20% discount. Tim Draper: And you said you were going to have to ... it's going to hire two people. Who are those two people and what are they going to be doing? Jesse Draper: Well, I'd assume him. Tim Draper: I have a big question. Have the investors in those companies made money? Tim Draper: Okay. And why did you leave them? I mean, if you're an entrepreneur ... are you one of the serial entrepreneurs that I watch out for? Jesse Draper: He does not like serial entrepreneurs. Ketan Anjaria: No. I think in the first one we didn't have a clear revenue model. In the second one ... what's really happening is HireClub's taking over everything. While with the other one, we are making $60k a month right now in revenue, it's become clear that HireClub is my life. Bill Draper: HireClub has been in business for six years ... how many years? Tim Draper: And what are the revenues in that? Bill Draper: So what are the revenues there? Tim Draper: What are you're experimenting with? You've been in business for six years. Ketan Anjaria: We were a Facebook group. We're just now starting to think about this revenue. Because remember, I was working at the other start-ups. Tim Draper: And the companies that are hiring these people will always pay a bounty. Why haven't you been getting a piece of the bounty? Ketan Anjaria: That's our next step. That's our next step. Clearly we're averaging about two placements a month, and if the average salary is $100k, we can make $20k a placement. But it requires me to be full time on a project team and get that going. Bill Draper: Why didn't you hire somebody else to do all that? Ketan Anjaria: That's a really good question. I've been hiring team members right now to help manage the growth and the platform we want to build, but sales would be one of the things that we were going to hire for on a contract basis, yes. Jesse Draper: Is it still on Facebook right now? Ketan Anjaria: No. We have a website, HireClub.com. You can create a profile there, you can add your projects, you add your skills. And based on that data, we can then recommend people for jobs. So it actually accelerates the job growth. Bill Draper: You left the other two companies? Tim Draper: No. He's still got them going. Ketan Anjaria: No, no, no, no. One of them ended long time ago. Ketan Anjaria: After we went TechCrunch Disrupt, audience joined but it didn't have a great revenue model so that one ended. The other one yes, I'm still the CTO at, but we've already discussed how to ... me move on from that. I had the conversation last week about it. Bill Draper: So nobody's running HireClub? Ketan Anjaria: Well, I'm running HireClub, but no one's running it full time yet. Yeah. Tim Draper: So that's why it's been six years and nothing's happened, or very little has happened. Tim Draper: You haven't quit to just do it. Ketan Anjaria: I haven't quit do just do it. And also, having run other companies, I didn't put any money early into HireClub and I wanted to see how it was going to grow. Think of it as an MVP platform without spending money. I've done other start-ups where I've spent money, and then it didn't grow. Jesse Draper: He said 14,000? Jesse Draper: And that's been over the last six years that you found 14,000? Ketan Anjaria: In the last six months alone we've grown 4,000. Tim Draper: How many jobs have been created by HireClub? Ketan Anjaria: Total, I don't have the number, but in the last 30 days, 194 jobs were posted. Tim Draper: How many have been connected? Ketan Anjaria: We're averaging around two a month that are closing. But actually our interview rate is really high. Typically when someone posts a job, within 15 minutes an interview is set up. Because again, it's a conversation, not a traditional job post. Ketan Anjaria: There's obviously a clear recruiting business model when we close jobs. The reason we're experimenting with services for job seekers, I actually think the nature of work is changing. People are having different kinds of work life, and people are doing more freelance work. So our coaches and our mentors are actually what I would call on-demand workers. They work for certain amount of hours a time, and we get 30% of that. We think once we prove that model out, we can scale that to any kind of service. You need development, you need writing, you need directing. Whatever it is, it's an on-demand workforce. And that can scale to be something really huge. And because it's a trusted platform, it's not a race to bottom like other platforms, like Upwork, or Fiver where people are getting $5 an hour. Our rate is $120 an hour. Imagine to be able to press the button and get someone who's really good at what they're doing, and be able to get your project done a lot faster. Tim Draper: Wait. I don't get why you have a rate? You have a fixed rate for the people who get jobs through you? Jesse Draper: It's like the LinkedIn model. Like, it costs $500 for a company to post a job. Right? Tim Draper: I see. It's that rate. It's for posting. Bill Draper: You'd better describe that. Ketan Anjaria: I'm ready to start it again. 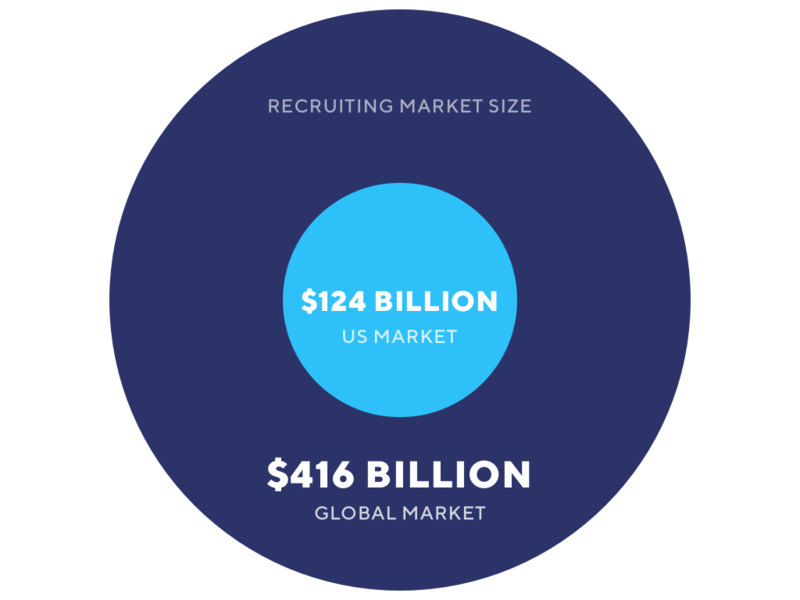 There's a clear revenue model around recruiting, which would be the contingency fee. You hire someone at HireClub full time, you get X percent of the salary. That's the obvious clear revenue model that we're going to work down. But on the way to get there, what I'm seeing is a lot of people are wanting to do contract work, including our coaches. And what we're doing is, we're taking a cut of that, just like recruiters would. We're taking 30% of that. Jesse Draper: Like a TaskRabbit or something. Ketan Anjaria: But not on the low end. It's a much higher end model. Ketan Anjaria: So we're doing this for our coaches right now, and in the last three months we made $11,000 offering services like this. Tim Draper: So for $120 an hour, these are all programmers? Who's getting $120 an hour? Tim Draper: I pay $120 an hour for a gardener? Ketan Anjaria: No. It's all going to be professional level skills. Jesse Draper: Like a lawyer or something. Ketan Anjaria: In a lot of on-demand networks, there's friction. You have to pick the person. Who is it? Are they good? Are they bad? What's their rating? Imagine if you're calling Uber and had to pick your driver. That would be silly. We're doing the same thing for on-demand work. You don't have to pick the person. Because they're validated, you know they're going to do good work. 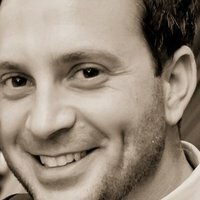 Bill Draper: One of your logo is helping friends find jobs. Friends doesn't mean anything apparently, because you'll take anybody and get them a job. Bill Draper: What does friends mean? Ketan Anjaria: Right now, it's still invite-only. You have to invite someone you trust to come into the network. We haven't opened it up to everybody. Tim Draper: To come into the network, but then I thought the whole point was vouching for a friend of a friend. Ketan Anjaria: That's usually how they get invited to the network. You vouch for someone. Ketan Anjaria: It depends on how the flow works. So let's say someone posts a job, then someone could say, "Hey, Tim. You should try out for this job. You'd be good for this." And because they got tagged, they get invited to the network. Tim Draper: So now I'm already in the network, and then I go for another job, and that other job is entirely different and maybe the guy wouldn't even vouch for me for that, but I can get hired, right? Ketan Anjaria: Sure. I mean, once you're in the network, yes. You're in the network. Bill Draper: And you don't know whose friend he his. Ketan Anjaria: I'm not sure I understand what you're saying by that. Tim Draper: Well, it's less valuable to the network ... I mean, to the employer. This is less valuable to the employer. Ketan Anjaria: We haven't seen that. We've actually found that employers say LinkedIn, Hire.com, which is a hiring platform, and Triplebyte, which is a hiring platform, they've all used HireClub to place candidates. 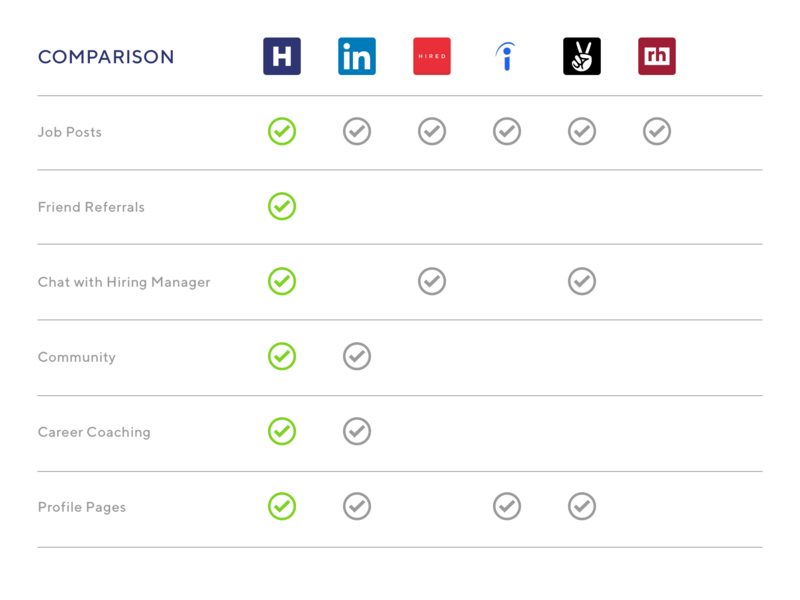 So we're the hiring platform other hiring platforms use. The quality of candidates is so much higher, and the closure rate's higher. Jesse Draper: This is just such a competitive space, and we have to wrap up soon, so what are the three differentiators that you have that make you better than the rest? Ketan Anjaria: We remove all the friction in hiring. We have an amazing community that vouches for each other, so the networking goes faster. And we make business and hiring happen much, much faster. Jesse Draper: Do you have any special talents? Jesse Draper: I don't know. Like, talent show talents? Tim Draper: Can you sing? Ketan Anjaria: I can play guitar. Bill Draper: Have you ever led an organization before? Ketan Anjaria: Yes. This is my third venture. Bill Draper: And the other two we talked ... okay, yeah. Ketan Anjaria: Yeah. I managed teams up to 25 already. Tim Draper: What happens if HireClub ... you know, you join full time and it goes sort of flat, whereas your other start-up takes off like a rocket? Are you going to jump over to that one? Or how's that going to work? Ketan Anjaria: HireClub has been there for six years for me. Bill Draper: But weren't then full time on any part of that. Ketan Anjaria: Right. But it's not a job to me. Bill Draper: I have a rule. And the rule is, never invest in something with a part-time manager. Ketan Anjaria: I agree with you. That's why I want to make this full time for me. Bill Draper: So you're going to skip when you get the money. Ketan Anjaria: Not at all. Tim Draper: What are you going to do with the other company? Bill Draper: I mean, you're going to skip on to HireClub. Ketan Anjaria: Yeah. It's going to be everything I do. Bill Draper: I see. Good. Ketan Anjaria: They're going to find another CTO. Ketan Anjaria: Yeah. It's not just me. There's other people involved obviously. Tim Draper: Does the CEO at the other company know that you're going to be leaving? Ketan Anjaria: Yes. We had that discussion last week. We sat down with my co-founders, we talked about it. They understand how amazing ... they've hired on HireClub. They know what it's like. Jesse Draper: It's great. It's your best endorsement. Ketan Anjaria: It's not only my best endorsement. There's a community aspect of HireClub that's ... you have to be a part of it to see it. A good example is, we had a few members who didn't have any money, but they wanted to get headshots done. We had 15 members donate $75 each, so they could get their headshots done. We made the profit off of that, but they donated those services. I don't know any other community where people are helping each other out to find jobs. Bill Draper: We have to quit right now, but would you just give me your idea of what your company is worth in money? 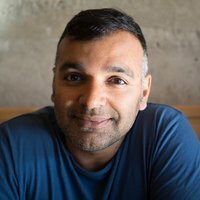 Ketan Anjaria: We're doing a $4 million cap [inaudible 00:37:06]. Bill Draper: So you think it's worth $4 million now. Jesse Draper: Great. Thank you so much. Bill Draper: I appreciate it. Tim Draper: Thanks for coming. Bill Draper: I appreciate you coming. Tim Draper: What did you guys think? Jesse Draper: What do we think? Tim Draper: What do you think of HireClub? Bill Draper: And I'm not sure he's a guy who I really think has thought it through and is really ready to build, or ... I mean, he's coming on as the CEO, but he's been working on two other companies as CEO and they haven't done much. I would not like it. Jesse Draper: Yeah. I feel like ... I feel the same way. I feel like I need to see more focus. And also he's raising some money for two salaries, but they may need more of a team, and more of a whole business plan. Bill Draper: He should have jumped then. Tim Draper: ... jumped then. Tim Draper: ... and sort of drifted out, waited for something. Jesse Draper: ... this year. Bill Draper: And it hasn't gone anywhere. Tim Draper: Yeah. So I am ... well, what do we do about our thumbs? Jesse Draper: Thumbs up, thumbs down, thumbs all around. Tim Draper: My thumb is down. Tim Draper: We already had to do this. Anyway. My thumb is down. Way down. Do you have your Meet the Drapers recap transcript? Ketan Anjaria: Hi, I'm Ketan Anjaria, and I'm the founder of HireClub. I started HireClub as a Facebook group six years ago to help friends find jobs. Tim Draper: What do you guys think? Bill Draper: I'm not sure he's a guy who I really think has thought it through, and is really ready to build. Jesse Draper: I feel the same way. I feel like I need to see more focus, and also he's raising some money for two salaries, but they may need more of a team and more of a whole business plan. Bill Draper: He should have jumped up. Tim Draper: He should've jumped then, but he's waited six years and sort of drifted out. Jesse Draper: I know, I thought he got 14,000, this year. Tim Draper: Waited for something. We were incorporated under the laws of Delaware on August 11, 2017. Accordingly, we have no history upon which an evaluation of our prospects and future performance can be made. Our proposed operations are subject to all business risks associated with new enterprises. The likelihood of our creation of a viable business must be considered in light of the problems, expenses, difficulties, complications, and delays frequently encountered in connection with the inception of a business, operation in a competitive industry, and the continued development of advertising, promotions, and a corresponding client base. We anticipate that our operating expenses will increase for the near future. There can be no assurances that we will ever operate profitably. You should consider the Company's business, operations and prospects in light of the risks, expenses and challenges faced as an early-stage company. Costs associated with information security ÛÒ such as investment in technology, the costs of compliance with consumer protection laws and costs resulting from consumer fraud ÛÒ could cause our business and results of operations to suffer materially. Additionally, the success of our online operations depends upon the secure transmission of confidential information over public networks, including the use of cashless payments. The intentional or negligent actions of employees, business associates or third parties may undermine our security measures. As a result, unauthorized parties may obtain access to our data systems and misappropriate confidential data. There can be no assurance that advances in computer capabilities, new discoveries in the field of cryptography or other developments will prevent the compromise of our customer transaction processing capabilities and personal data. If any such compromise of our security or the security of information residing with our business associates or third parties were to occur, it could have a material adverse effect on our reputation, operating results and financial condition. Any compromise of our data security may materially increase the costs we incur to protect against such breaches and could subject us to additional legal risk. We collect and store sensitive data, including intellectual property, our proprietary business information and that of our customers, suppliers and business partners, and personally identifiable information of our customers and employees, in our data centers and on our networks. The secure processing, maintenance and transmission of this information is critical to our operations and business strategy. Despite our security measures, our information technology and infrastructure may be vulnerable to attacks by hackers or breached due to employee error, malfeasance or other disruptions. Any such breach could compromise our networks and the information stored there could be accessed, publicly disclosed, lost or stolen. Any such access, disclosure or other loss of information could result in legal claims or proceedings, liability under laws that protect the privacy of personal information, regulatory penalties, disrupt our operations and the services we provide to customers, and damage our reputation, cause a loss of confidence in our products and services, which could adversely affect our business/operating margins, revenues and competitive position. In particular, the Company is dependent on Ketan Anjaria who is the CEO as of August 11, 2017 of the Company. The Company has or intends to enter into employment agreements with Ketan Anjaria although there can be no assurance that it will do so or that they will continue to be employed by the Company for a particular period of time. The loss of Ketan Anjaria or any member of the board of directors or executive officer could harm the Company's business, financial condition, cash flow and results of operations. The Company is dependent on Ketan Anjaria in order to conduct its operations and execute its business plan, however, the Company has not purchased any insurance policies with respect to those individuals in the event of their death or disability. Therefore, if Ketan Anjaria dies or becomes disabled, the Company will not receive any compensation to assist with such person's absence. The loss of such person could negatively affect the Company and its operations. We are subject to income taxes as well as non-income based taxes, such as payroll, sales, use, value-added, net worth, property and goods and services taxes, in both the U.S and various jurisdictions including the E.U. We seek to maintain, extend, and expand our brand image through marketing investments, including advertising and consumer promotions, and product innovation. Increasing attention on marketing could adversely affect our brand image. It could also lead to stricter regulations and greater scrutiny of marketing practices. Existing or increased legal or regulatory restrictions on our advertising, consumer promotions and marketing, or our response to those restrictions, could limit our efforts to maintain, extend and expand our brands. Moreover, adverse publicity about regulatory or legal action against us could damage our reputation and brand image, undermine our customers' confidence and reduce long-term demand for our products, even if the regulatory or legal action is unfounded or not material to our operations. In addition, our success in maintaining, extending, and expanding our brand image depends on our ability to adapt to a rapidly changing media environment. We increasingly rely on social media and online dissemination of advertising campaigns. The growing use of social and digital media increases the speed and extent that information or misinformation and opinions can be shared. Negative posts or comments about us, our brands or our products on social or digital media, whether or not valid, could seriously damage our brands and reputation. If we do not establish, maintain, extend and expand our brand image, then our product sales, financial condition and results of operations could be adversely affected. Our activities or products, both in and outside of the United States, are subject to regulation by various federal, state, provincial and local laws, regulations and government agencies, including the U.S. Food and Drug Administration, U.S. Federal Trade Commission, the U.S. Departments of Agriculture, Commerce and Labor, as well as similar and other authorities outside of the United States, International Accords and Treaties and others, including voluntary regulation by other bodies. In addition, legal and regulatory systems in emerging and developing markets may be less developed, and less certain. These laws and regulations and interpretations thereof may change, sometimes dramatically, as a result of a variety of factors, including political, economic or social events. The manufacturing, marketing and distribution of food products are subject to governmental regulation that control such matters as food quality and safety, ingredients, advertising, product or production requirements, labeling, import or export of our products or ingredients, relations with distributors and retailers, health and safety, the environment, and restrictions on the use of government programs to purchase certain of our products. We are also regulated with respect to matters such as licensing requirements, trade and pricing practices, tax, anticorruption standards, advertising and claims, and environmental matters. The need to comply with new, evolving or revised tax, environmental, food quality and safety, labeling or other laws or regulations, or new, or changed interpretations or enforcement of existing laws or regulations, may have an adverse effect on our business and results of operations. Further, if we are found to be out of compliance with applicable laws and regulations in these areas, we could be subject to civil remedies, including fines, injunctions, termination of necessary licenses or permits, or recalls, as well as potential criminal sanctions, any of which could have an adverse effect on our business. Even if regulatory review does not result in these types of determinations, it could potentially create negative publicity or perceptions which could harm our business or reputation. Prior to the Offering the Company's current owners of 20% or more beneficially own up to 90.0% of the Company. Subject to any fiduciary duties owed to our other owners or investors under Delaware law, these owners may be able to exercise significant influence over matters requiring owner approval, including the election of directors or managers and approval of significant Company transactions, and will have significant control over the Company's management and policies. Some of these persons may have interests that are different from yours. For example, these owners may support proposals and actions with which you may disagree. The concentration of ownership could delay or prevent a change in control of the Company or otherwise discourage a potential acquirer from attempting to obtain control of the Company, which in turn could reduce the price potential investors are willing to pay for the Company. In addition, these owners could use their voting influence to maintain the Company's existing management, delay or prevent changes in control of the Company, or support or reject other management and board proposals that are subject to owner approval. I believe that the best way to help each other find new opportunities is to rely on the people we know and to lift them up. I believe in HireClub. It has supported me through my job search and I want it to continue helping others. Interested to follow the journey along! I believe in the org and in the founder. If I could create an org, I would model after his transparency, authenticity, generosity, and humor. I’m the Exec Dir of a start up, 14000hours.org, and also career coach. I’m giving this hour to my son! Can't wait to see where Ketan takes HireClub next! I used to support Katen's virtual card exchange startup called 'card flick', in Silicon Valley and I liked his personality. He focuses on person. So human oriented activity is the key, because we, as human being use AI for us, not we work for AI. I believe in having these type of platform to get hired on. this is a fantastic idea. I believe in HireClub. The quality of job posts and the presence of genuine people looking to help each other on HireClub is truly amazing! Seems possible HireClub could be disruptive of the Headhunting sector. I firmly believe that HireClub is not only disrupting the Recruiting world, but also changing the way businesses everywhere will start to approach fundraising, referral models & community. Go Team HireClub!! Because I love the goals of HireClub and I think that Ketan is an amazing founder. I believe in the platform -- and it has helped me immensely already! Ketan has demonstrated that he can build, develop, and maintain a community that is inviting, positive, and balanced. Not an easy thing to do on the internet. I believe in the power of friends helping friends get hired! Love the team and the HireClub community is amazing, not to mention effective. Hope they do well! I invested because I've used HireClub for years and Ketan is a standup guy. Hiring needs to be disrupted. Hireclub has the opportunity to leverage the power of the community and network to help talent get recognized. Ketan is passionate to solve this problem and is a seasoned entrepreneur. Ketan is a smart, thoughtful, and hardworking person who has already made HireClub into the best network of professionals I've ever been a part of. The addition of career coaching and Ketan's plans for the future are impressive and exciting. Hireclub helped me get a job in VC. Thank you! I love HireClub and believe in the people, vision, and product. I think it's a good idea which could really take off. Currently so many ineffective job boards out there. Unlike Linked in, HireClub specifically focuses on filling job positions and leverages people who can vouch for the prospective candidate. Early HireClub member and I believe in the vouch. Appears to be an organization which both citizens and society need. I invested because I like the concept of interviewing for a job within a few hours of looking. I believe in the founder and wish the very best! I believe in this company as it is bringing jobs to several people within the U.S. I think they have the right idea and I believe they will be very successful because they are doing something right! I always have a passion for startups. Since HireClub is investing in people to get jobs and recruiting is bad with (ATS). It's worthwhile to invest in startups that care and invest in people to get jobs, where they can get experience in the field. Nice traction, unclear business model. Audacious plan. Filling jobs should be easier for candidates and companies. The Hire Club community gives the transaction more confidence and makes a better experience. I hope to see HC succeed! HireClub has helped me a lot in my professional journey. I'm sure they will help more people! Because a rising tide lifts all boats. A drop in a bucket, but the concept is exciting, and I believe in the founder's vision. Good luck team! I believe strongly in this service, and more so, this community. I invested because I really admire the guiding principles behind this club to get the right people hired into the right positions without getting lost in the shuffle. I believe in your commitment towards helping people find jobs. Because HireClub could be the next LinkedIn if Ketan nails the product experience. I invested in HireClub because the model's great - I'm seeing it work daily through active users and connections. And because Ketan seems to have his head on right! Invested because helping people further their careers is a great mission. Good luck Ketan and team! Because I believe in Ketan. I'm a big believer in HC's mission. And what has been accomplished so far is the beginnings of a long impactful journey. I've met I like the idea of HireClub, friends helping each other get jobs. And I've met Ketan. I feel there are some interesting ideas at play here. 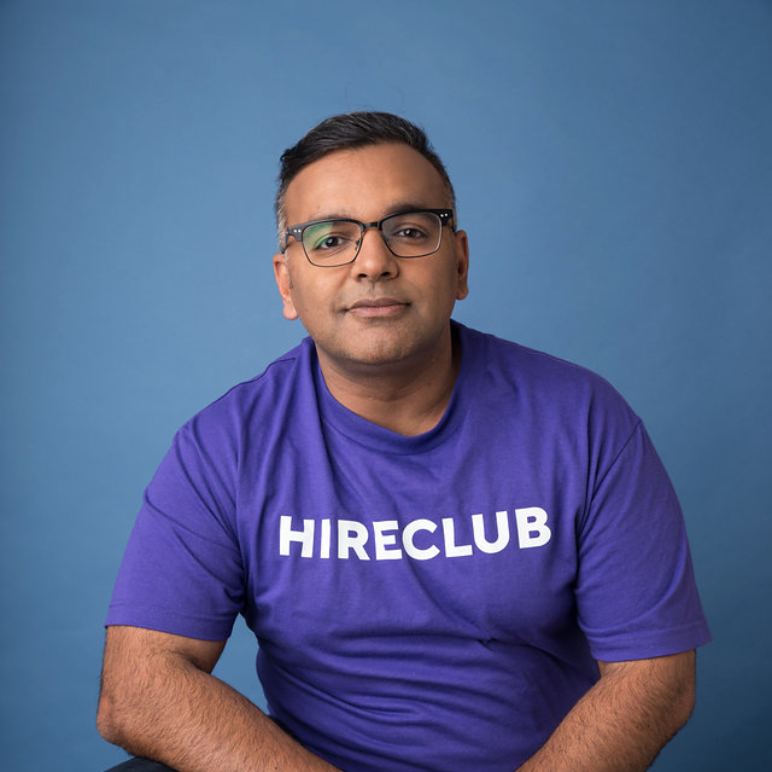 Having the ability to chat with hiring managers alone is an interesting innovation and I look forward to seeing HireClub take off. Any company that makes the job hiring process more streamlined and less cumbersome is a great benefit to the world and its existence is mandatory. I like this company. The idea. friends helping friends.. say what? i like it. Because I believe this company has the potential to do something incredible for the job market! Great club that provides professional tips to help you with your career! People say it’s not what you know, but who you know. This company is an perfect example of that. This is a great idea, and something I believe in! I love the HireClub community and its positivity. Now days finding a job without the right connections is hard enough, thanks to HireClub this experience can be less hectic, with a small investment you're helping yourself, friends, family find a better straight forward solution. I invested because I believe in the mission of HireClub. I invested because I have seen HireClub grow into a thriving community, and believe in the integrity and skill of the team. I invested because I believe in Ketan! I think hireclub is amazing. I’m currently employed, but I got several leads through HireClub. I invested because I see HireClub on Facebook and liked it. That's why, I would like to be a part of this. Hiring will be most crucial part in future. This guys fits on that very better. All the best. I invested because I am a user of HireClub and believe in the power of it. I love the mission of HireClub and HireClub helped me get a job! I do recruitment for Seed through Series B startups in SF. I only do 15-20 hires per year and don't need volume recruitment solutions. I intend to closely follow your feature growth/improvements! Will try to become a coach, too. Rooting for ya'll! Academic research has shown that a vast majority of hires occur through personal referrals--i.e., social connections. HireClub taps very nicely into this mechanism. The value proposition is clear. Hireclub is an already proven great community, connecting hiring managers and skilled people looking for jobs. I believe in the founder. I believe that HireClub would become a better alternative than most traditional hiring methods we have for now. I think that there is sound principal reasons for future growth. Believe in HireClub and always in support of companies/people whose mission is to make others successful and then think about profit/money making. I have seen HireClub helping so many people around find their job at the most crucial time. I invest with pride as one of the first HireClub members! Because I believe this is a better way to find and recruit talented individuals....through commUNITY. I think this is a noble concept that can help millions of job seekers worldwide to find their dream jobs and for hiring people to find their dream hires. I invested because I've been unemployed before and it can be daunting. Having a supportive community that you can help in and be helped is a great thing. I believe in Ketan and his passion to help everyone get hired. I believe in Hireclub and ketan's vision of helping others and getting help for yourself to get the job. It's personalized approach towarss end to end services to get hired in world of Job seekers and employers. I love the idea of being part of a supporting network when it comes to find a job. I've been in both positions b4: being on my own looking and having someone helping me find one quickly. Guess which worked best? Thanks for letting me be part of this. Its a great way to find quality candidates already vetted by people you know. I liked very much the team and their idea.